Designed by world-famous architect Renzo Piano, the Intesa Sanpaolo Tower will, on completion, stand 167 metres high and dominate the skyline of Turin. 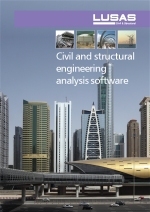 Expedition Engineering used LUSAS finite element analysis software to assist with its design of the structure and carried out staged construction modelling of the tower incorporating creep and buckling analysis assessments of major steel truss members. The Intesa Sanpaolo Tower is a mixed-use development that provides office accommodation for more than 2000 employees of Intesa Sanpaolo Group as well as providing leisure facilities for the general public. In total there are 37 floors above ground and 6 levels underground. At its summit, a rooftop greenhouse houses a public restaurant, alongside a roof garden and a panoramic terrace that provides far-reaching views over the city. At its base, a 364 seat multifunctional public hall/auditorium is hung from the transfer trusses four stories above ground level. Described by the architect as a "bioclimatic building", it is naturally ventilated and cooled. 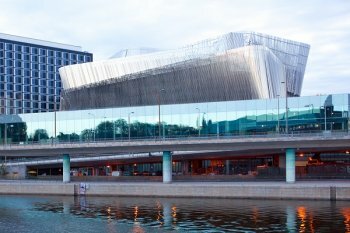 Cladding consists of transparent double-skinned glass fa�ades, which incorporate louvres in the outer skin. 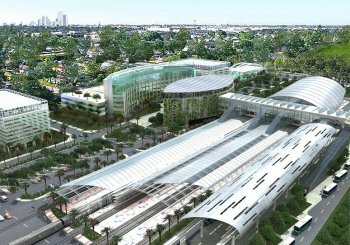 An appreciable amount of its power requirement is to be generated from photovoltaic panels that cover the southern fa�ade. 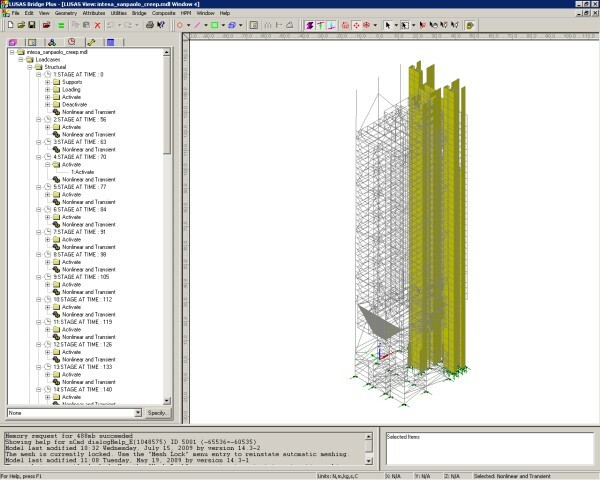 Six steel megacolumns and a reinforced concrete slip-formed core take all floor, bracing and cladding loadings down to foundation level. 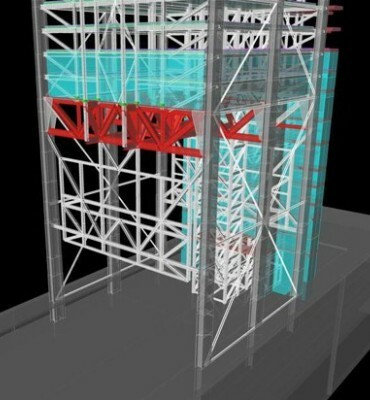 A set of huge steel trusses located above the auditorium transfer upper internal column loads to the outer megacolumns. 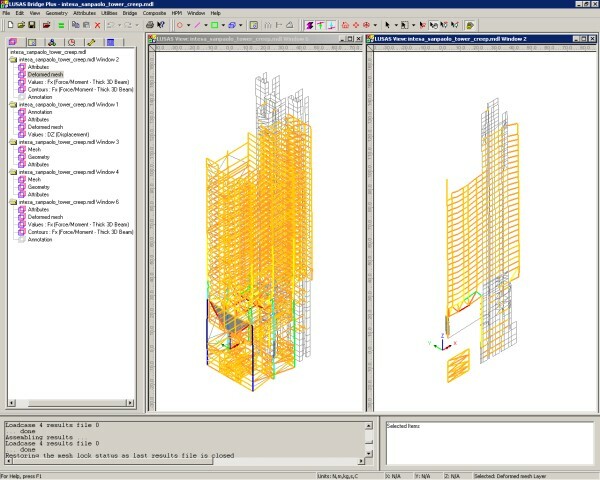 Andrew Weir, Associate Director at Expedition Engineering said, "We used LUSAS Civil & Structural software to build a detailed model of all elements of the tower structure and then carried out a time-dependent nonlinear analysis incorporating creep to model the main stages of construction ending with a 100 year final loadcase to allow for long-term effects." Here, the evaluation of axial forces in beams and of displacements with respect to the core walls were of primary interest. Expedition Engineering also created models of particular structural elements to investigate local effects and these included the building of models of the huge transfer trusses above the main auditorium. Euler buckling analysis was carried out with LUSAS to obtain buckling load factors for these. Construction of the tower started in early 2010 and progress can be seen here at SkycraperCity. 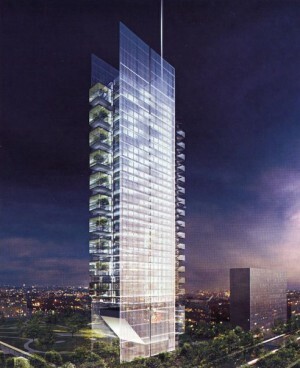 On completion in 2013 it will be the tallest building in Turin and one of the tallest buildings in Italy. "Using LUSAS allowed us to understand how this tall building will behave as it's built and then clearly show that it will stand the test of time"